Feeling a little batty? Are you in a mood that can be described best as absolutely mad? Well that's a-okay! Especially if you are going to take a plunge down the rabbit hole. We assure you that there will be plenty of kooky characters waiting for you when you get there. This crazy accessory comes with a over sized hat, 10" high to be exact so you are sure to make a statement. You will also receive a collar with an attached bow tie! Whether you've got a regular sized head or your noggin is a little on the larger size (we know, you're just full of wisdom) this Mad Hatter Kit has a size adjuster in the interior of the hat for a perfect fit. 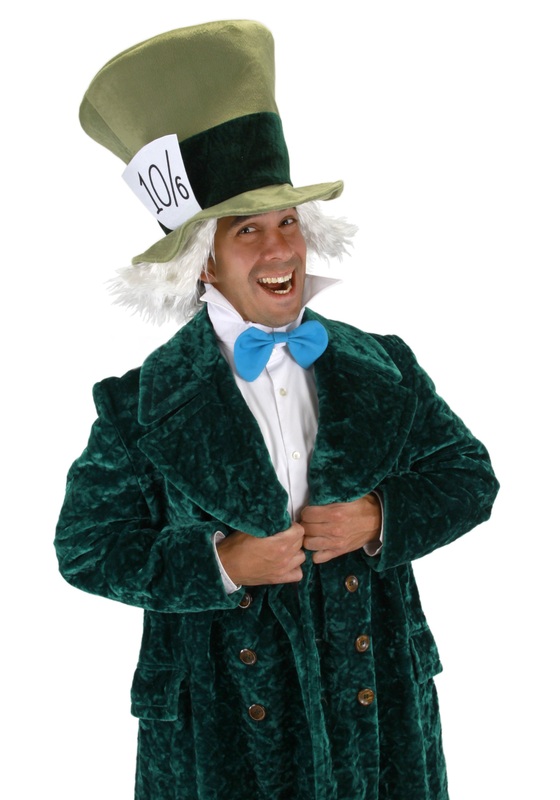 It's time to personify the craziest character of them all by picking up this Mad Hatter Kit. Wear it and you're sure to have a wonderful night! Fast delivery, and great product! Very pleased!